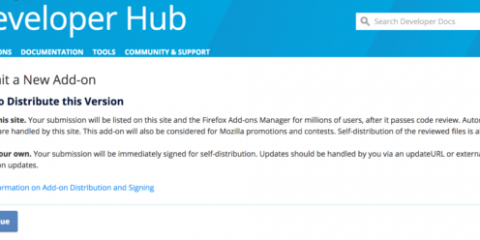 Firefox 47 will be released on June 7th. Here’s the list of changes that went into this version that can affect add-on compatibility. There is more information available in Firefox 47 for Developers, so you should also give it a look. Remove FUEL. The FUEL library has been deprecated since Firefox 40. Remove the about:customizing preloading hack. The UI customization panel no longer opens using the about:customizing URL. require("devtools/client/framework/devtools-browser");. The module still works for backward compatibility, but it will be removed in the future. Don’t let web pages link to view-source: URLs. TabOpen and TabClose events should provide more detail about tabs moved between windows. Remove tabs’ visibleLabel property and TabLabelModified event. This is a reversal from previous work on supporting a separate label for tabs. nsICookieManager.remove by adding a new required argument (originAttributes). Update: these changes may be temporarily reverted in bug 1259169, but you should still prepare for them. Various changes to nsIX509CertDB: bug 1064402, bug 1241646, bug 1241650. Many functions changed here, so I won’t list them. 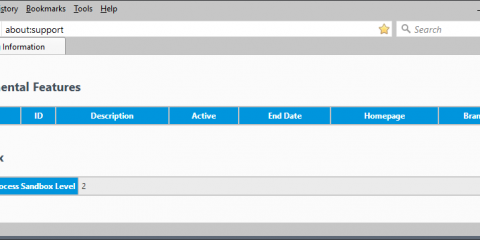 Remove uses of nsIEnumerator from PSM. This changes the functions listTokens, listModules, and listSlots, both of which now return nsISimpleEnumerator instead of nsIEnumerator. Remove uriIsPrefix option from nsINavHistoryQuery. Replace removeVisitsTimeframe with History.removeVisitsByFilter and deprecate it. Debugging auto-close XUL panels is painful. Now you can debug popup panels in add-ons. 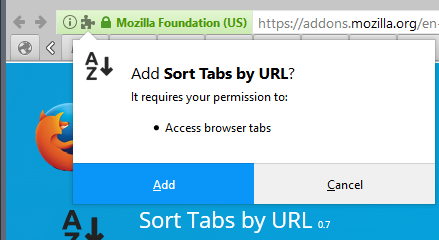 Support frames similar to mozbrowser on desktop Firefox. This enables a new iframe API that makes the content believe it’s being loaded in a top-level window. Let me know in the comments if there’s anything missing or incorrect on these lists. If your add-on breaks on Firefox 47, I’d like to know. The automatic compatibility validation and upgrade for add-ons on AMO will happen in a few weeks, so keep an eye on your email if you have an add-on listed on our site with its compatibility set to Firefox 46.